That's how the glass horse carousel I bought online came today. It took forever for it to get here and that's how I got it. Ugh! Actually, I was half-expecting [is there such a word?] that one of the pieces I got would be in bad shape. That's just the way it is unfortunately. As soon as I opened the box of this piece, I knew something was wrong with it. It looked like it was packed in a hurry. 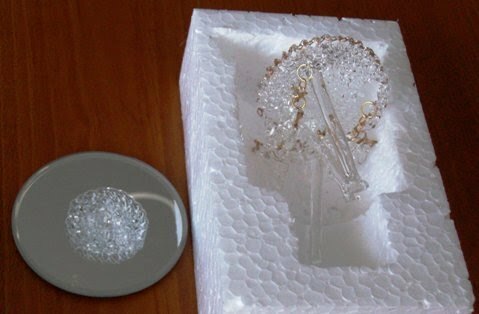 The other pieces were neatly and carefully packed. This one, not quite. Anyway, I already emailed the seller letting them know of the condition of their product when it reached me today. The little one took pictures of the broken piece thinking I may need it in the future...and she may be right. Smart little cookie, eh? The other pieces are fine. The little one wanted to put them in the curio herself and she did. 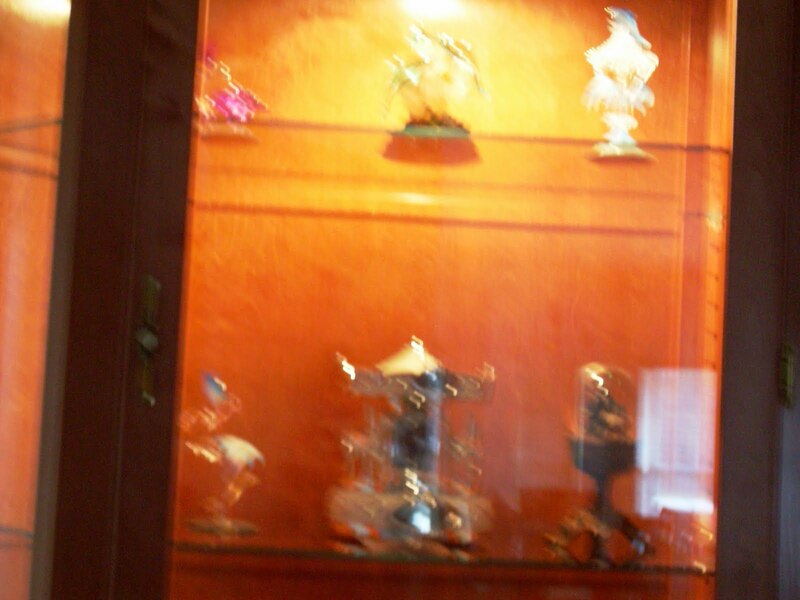 She also took this 'blurry' picture of what's in the curio so far. We still have a long way to go but we'll get there...as long the pieces I order in the future come in one piece. Ha!